There’s much to do in Östersund, no matter what time of year you visit the city. Östersund is the county seat of Jämtland County and about 60 000 inhabitants live in and around the city. The city is the focal point of the beautiful ‘Storsjöbygden’ and has a fantastic location along the shores of Lake Storsjön. 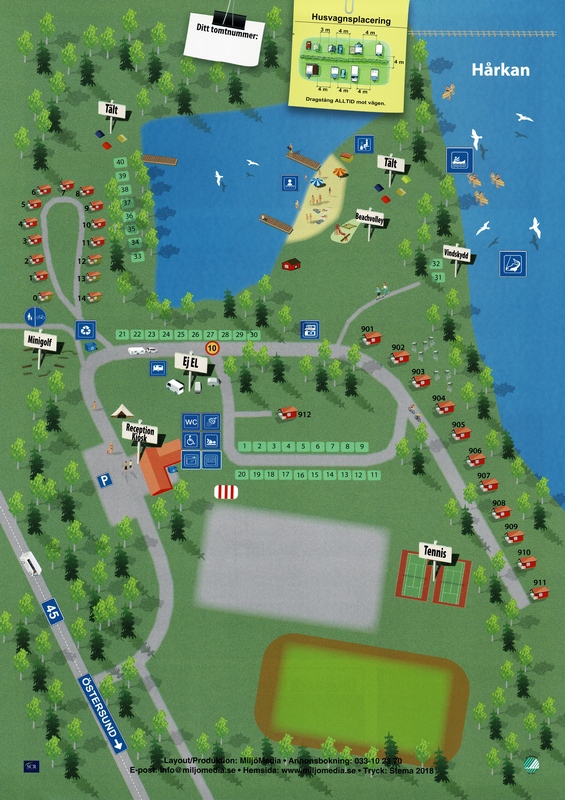 The biggest city park is a meeting point for the people of Östersund. In the summers people will play miniature golf, go swimming or surfing or just hanging out in the park, catching some sun. During winters the park is the heart of the winter city of Östersund. Here you can rent skates and take off on the great skating track Medvinden that runs for miles. A 1000 square meter large play area for children up to 12 years. Here you can go climbing, jump in a bouncy castle, jump in a ball pool or play air hockey and more. Since the 1950’s, the ExpoNorr Trade Fair has been coming back year after year. Expect thousands of visitors and hundreds of exhibitors. Organized at end of June. Enjoy watching one of the best teams in the Swedish pro league Allsvenskan on Jämtkraft Arena. Only 15 minutes from the campsite by car. At the top of Frösöberget you will find Café Frösö Tower. Here you can take a picnic with views across Östersund and Lake Storsjön. There are over 700 animals from around the world at Frösö Zoo. Here they also have a tropical house and a theme park. Open June through August. If hockey is where your heart lies, why not check out the local team? Jamtli History Land is a popular destination for the whole family throughout the year. There is also a traditional museum here, which is currently being converted into what will become the National Museum in Northern Sweden. Meet the King of the Forest. Go to Orrviken on a guided tour for an extraordinary close encounter with moose. Welcome to one of Sweden’s biggest adventure houses. Here you will find: Boda Borg, laser hall, climbing wall, go-carting and lots of other challenges. One of Sweden’s largest centers for winter sports. The Biathlon World Cup is a regular visitor here. The stadium is a big reason as to why a large part of the Swedish national team for both biathlon and cross-country skiing live in Östersund. The waterpark Storsjöbadet offers waterpark, slides and spa area. Open all year round. A football tournament that attracts hundreds of young football teams and thousands of players every year, from all over the world. Held in early July. Sweden’s biggest city-festival. This festival in late July attracts international super-artists year after year. The week-long temporary restaurant strip along Lake Storsjön is one of the highlights of the summer. Above is a few of the things to do in Östersund. But there’s more to the city than that. Östersund has many renowned restaurants, cafes, exhibitions, and small and large stores. The city is also host to a variety of events and activities throughout the year.